According to this source, BMI — Body Mass Index — is not the end-all, be all health indicator that it’s cracked up to be. Currently anything above 25 is categorized as overweight, when health risks don’t really kick in until much higher than that. The U.S. set its standards for overweight and obese according to international standards, which were heavily influenced by pharmaceutical companies selling prescription weight loss pills. This article recently published in The New York Times about the Biggest Loser corroborates a lot of what Body Respect says about weight management. Essentially, there are a lot of unconscious forces at work in your body — for example, gut bacteria — that keep your body working to maintain a certain weight, a weight that may not match your desire for your high school figure or what you see in airbrushed magazines. So, treating your body like a machine — calories in, calories out — works in the short term, but then your body will react and try to recalibrate to its desired weight by increasing your appetite, slowing your metabolism, etc. This isn’t to say don’t cut calories to try to lose weight, but it does help explain why our weight loss efforts are often so short-lived. And it’s good to keep in mind when pursuing that ever-elusive weight loss goal in a healthy way. The authors also have some pretty radical research findings to combat the view that America is suffering from an unprecedented “obesity epidemic.” Like I said, radical — all kinds of public platforms teach us that a lower body weight = good health. And fat bodies being an accepted form of body diversity? That can be a hard pill to swallow. I encourage you to read the book for yourself to make your own sense of these claims, but for now, I think it’s a healthy step forward to develop respect for our bodies, as they are, and to distinguish between being healthy and a size [insert your preference]. Posted in Book Reviews and tagged BMI, Body Respect, diversity, food, health, obesity, research, social media, The New York Times, weight. Bookmark the permalink. 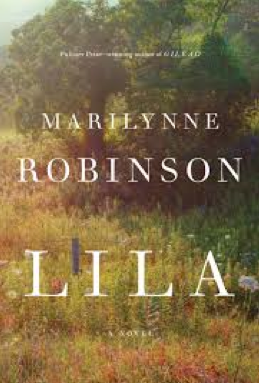 Marilynne Robinson’s newest novel, “Lila,” tells the story of a woman plucked from her family’s doorstep by a migrant worker, Doll, subsisting on farm work from one cornfield to the next. When we first meet her, an adult Lila has been waiting out the days in a small Iowa town, sleeping in a shack and idly tending the town preacher’s garden. She and the preacher, John Ames, develop a strange intimacy borne of Lila’s spontaneous gestures of affection, her poverty and vulnerability, her abrupt, disarming questions about God and religion. As their relationship deepens, Lila confronts the many hardships of her past, trying to reconcile her pervasive feelings of shame and loneliness with the admiration and appreciation she incites so naturally in the wise old reverend. Between haunting flashbacks of her past, sparse, charged conversations with the reverend in the strange tranquility of their new home together and long passages revealing her passing thoughts about faith, loneliness and love, we get a searing portrait of a mysterious, paradoxical character, reflecting the deep mystery of life itself. As for the reverend, we can only glean as much about his feelings and thoughts as Lila shares from the outside: his ongoing attempts to make her comfortable in a domestic, ladylike setting, his fears that she’ll leave, coupled with his pains to give her space, his deliberately unresolved, open responses when they discuss religion. His strong attraction to Lila appears to be connected to his intuitive beliefs about God and grace, as if Lila’s earnestness and honesty strikes a nerve in his lifelong pursuit of Christian truths. He marvels at the doggedness with which she seeks out difficult chapters from the Bible, like Job and Ezekial. The instinctive kind of raw kindness that Lila demonstrates to strangers, including his deceased wife and son, whose graves she attends with roses. The boldness with which she seeks him out, stealing his sweater, and asking him to marry her, then retreats, grappling with openness and trust. He often comments on her unpredictable nature. We can gather that her ability to surprise him is one primary reason she stirs him up. But the mystery of their bond, balanced by small, rich moments that we witness feeding it, reinforces the intensity and sacredness of falling in love. Given their vast differences — his education, social connectedness and familial roots in the town, her nomadic childhood, piecing together a fluid perception of the world from one field, one odd job to the next — their union highlights a truth that applies to all relationships, though it is exaggerated in their case: the fact that every human being is fundamentally a mystery to each other, no matter how familiar. That loneliness isn’t a product of being alone or even a lack of intimacy, but rather arises from fleeting impressions of the world’s vast contradictions. And so Lila’s loneliness persists. For example, she struggles with the notion that her beloved Doll was apathetic toward religion, and in the most objective sense, a grave sinner. Her loyalty and love for Doll puts her at a distance from the reverend, whose worldview doesn’t allow Doll the same wholehearted acceptance and unequivocal loyalty. I read the Pulitzer Prize winning “Gilead” about five or six years ago, to which Lila is the prequel. In “Gilead,” the reverend writes to his and Lila’s now seven-year old son as he prepares to die. As with most books, I hardly remember any specifics, only the general impression that it was sad, spiritually rich and beautifully written, that I remember loving it. “Gilead” is absolutely worth a read, but it’s worth mentioning that “Lila” stands alone from it, self-contained in its exploration of similar themes such as the workings of grace and the mystery of everyday life. For more about “Lila,” here is the New York Times book review. Posted in Book Reviews and tagged books, characters, Christianity, fiction, Gilead, Lila, Marilynne Robinson, novels, spirituality, The New York Times, writing. Bookmark the permalink. 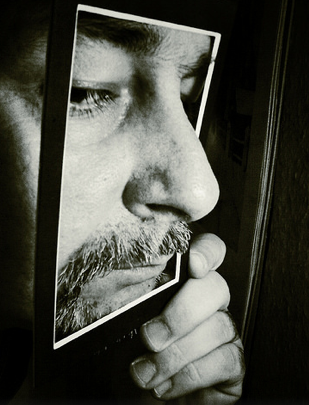 We are all the stars of our own movies, the protagonists of our own stories, but it seems, with the “selfi(ie) generation” at the helm, as a society we’ve become more self-consciously so, keen on having an audience. Lately I’ve been wondering if this is such a bad thing — as my Facebook feed is inundated with babies and couple shots and cool views from exotic locales, it seems there’s more to the culture of selfies than narcissism. It has to do with a basic appreciation of life, a move toward sharing and celebrating the little moments. I wonder if the selfie ethos is shaping us to savor our lives a bit more, to be more ebullient and overflowing and public with our little victories — more connected as a result of social media, not less. There is an interesting CNN article about “the upside of selfies” that reveals some surprisingly positive statistics: according to Common Sense Media, one in five teens reports to feeling more confident as a result of social media, versus 4% feeling less confident. 29% of 13-17 year-olds report that social media made them feel less shy. According to Rebecca Levey, the founder of a video platform for tweens, social media is an opportunity for kids with niche interests to find each other. It’s also a place for tweens and teens — and full-grown adults — to make their voices heard about important issues. The New York Times has a name for such tweens and teens, and some of those full-grown adults — it’s called “digital natives,” folks who never had to adapt to the internet, for whom a virtual reality was always a matter of fact. Apparently, these so-called millenials are “the first in the modern era to have higher levels of student loan debt, poverty and unemployment, and lower levels of wealth and personal income than their two immediate predecessor generations had at the same age.” Who can knock ‘em for cheerleading their way through, for slapping a selfie on a genuinely difficult struggle? I’m increasingly inclined to view my friends’ status updates, hashtags, and photo uploads as something to celebrate. Hear me? I want in on the minutiae of your life — it’s life-affirming to share it. Grate the zest of the two oranges. Measure the flour and sift it into a bowl. Cream the butter and the granulated sugar. Add the flour and the brown sugar and mix until just combined. Combine the buttermilk and the baking soda. Add it to the mixture and stir until just combined. Line a muffin tin with paper liners and fill 2/3 full with batter. Bake until light brown and a toothpick inserted in the middle of the muffin comes out clean, about 13-15 minutes. I had enough batter to repeat a second time, making six more muffins. Fill the empty muffin cups with water. Posted in essays and tagged American culture, baking, citrus, CNN, muffins, musings, oranges, philosophy, recipes, self-acceptance, selfies, social media, The New York Times. Bookmark the permalink.